It's a bridge over Shenton Way that has mini eating stalls inside. 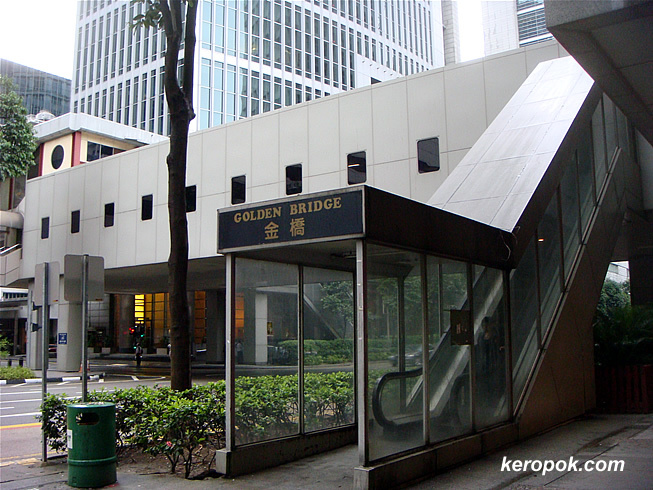 Anyone know why it's called Golden Bridge? It's not golden at all? 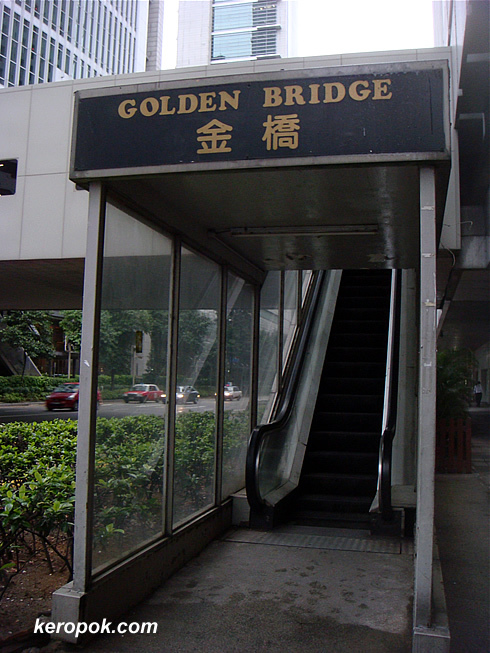 I guess because it led you to money and gold, thus it is called gold bridge! What Superman commented is something new to me...."...dirty.."
I thought one would never find any dirty place in Singapore! Hee...hee..very surprising.